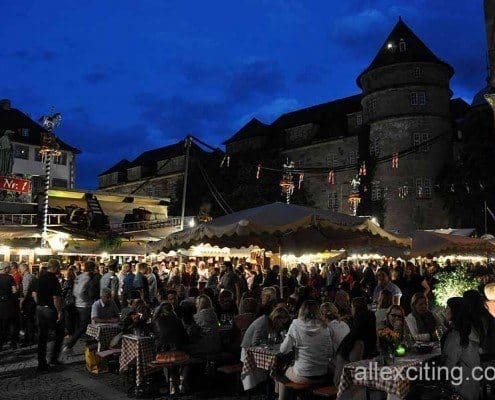 Every evening the festival area is packed with people, so you better be early to get a good seat. 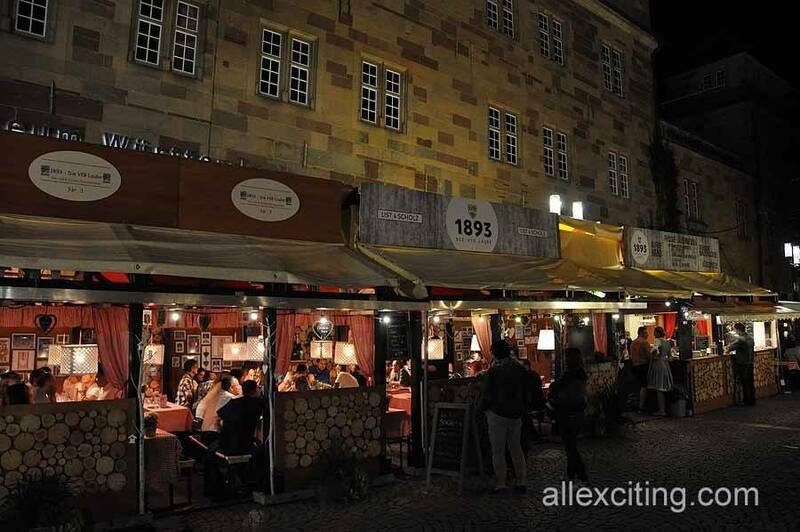 The evenings brings a nice atmosphere with the surroundings and sound of wining and talking people. 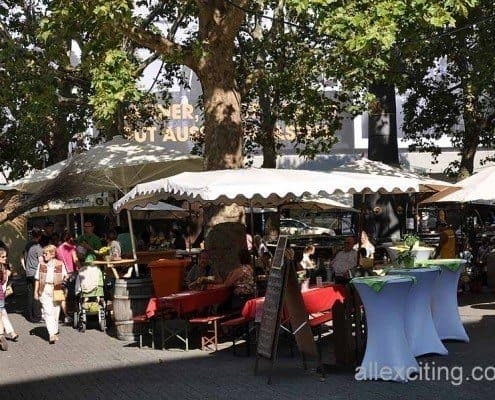 Earlier afternoons there is more space, and you can more easily go around and see what the different stands has to offer. 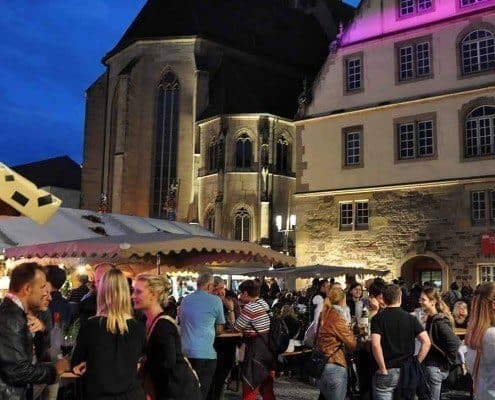 The success of the festival is reflected with successfully held events in Switzerland, Bruxelles and Hamburg, based on the same recipe that certainly works great in Stuttgart. 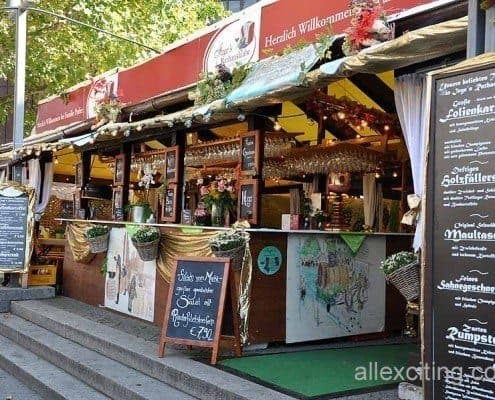 They really seems to love wine here. 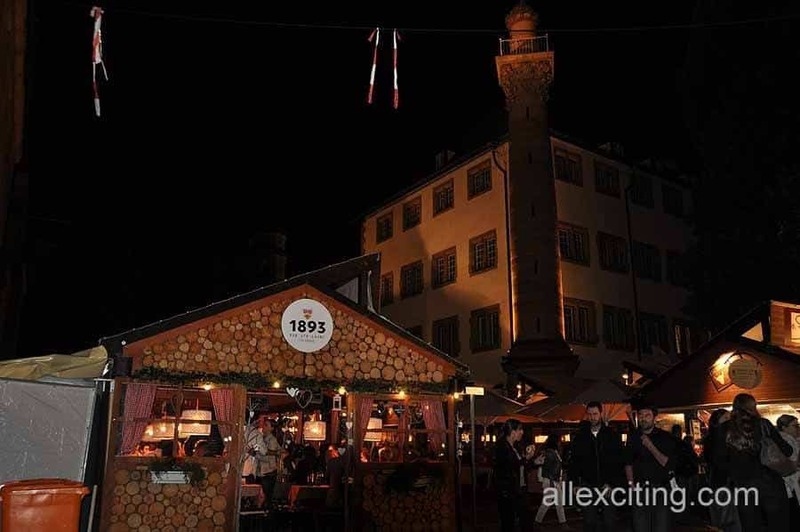 A long tradition that goes back a thousand years and a great mild climate with ideal conditions produces each year some of the best wines in the country. 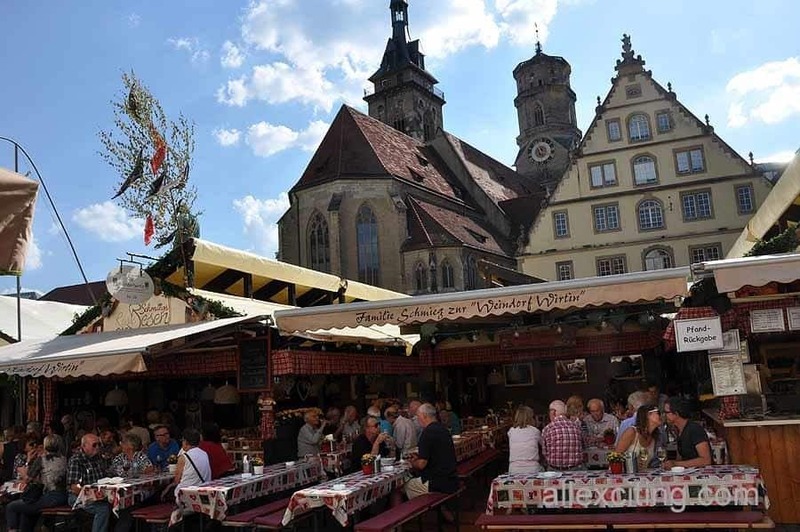 Some statistics even say that the consumption of this drink in Baden-Württemberg is as much as half of the whole country and in Stuttgart – even twice as that. 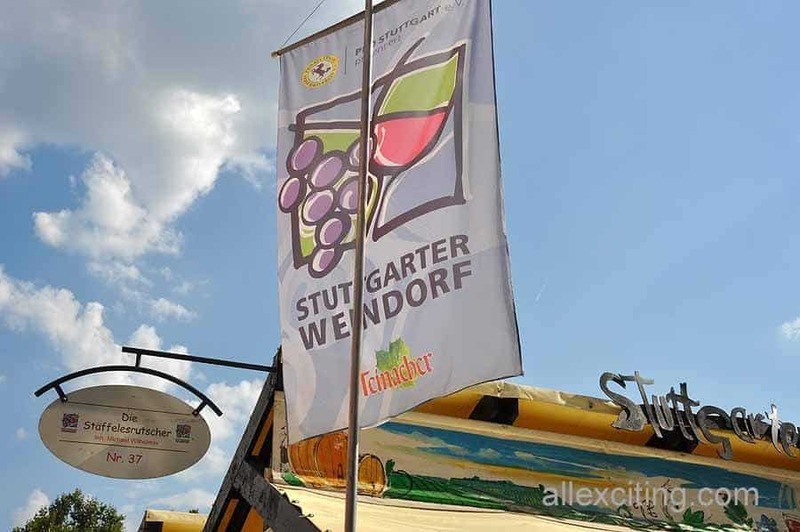 The first Weindorf was an idea made of a custom of small, local guesthouses run by winegrowers who served its wine products with homemade and traditional food. 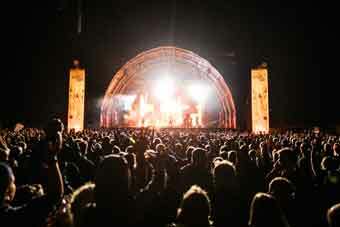 So, the first festival gets birth from that idea in 1976. 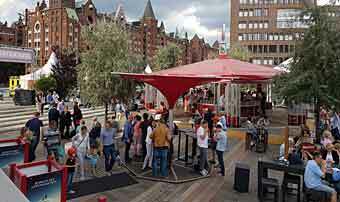 And it immediately became extremely famous – and visited by tourists, families, students and managers. 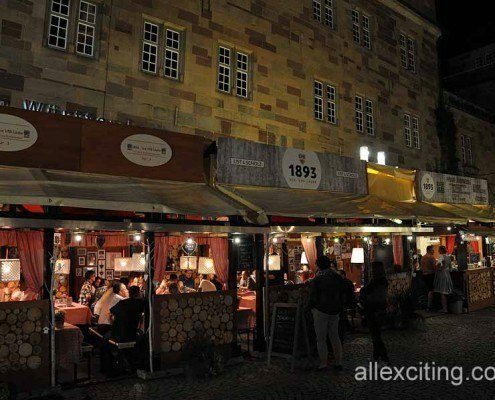 A few words about the food, as well. 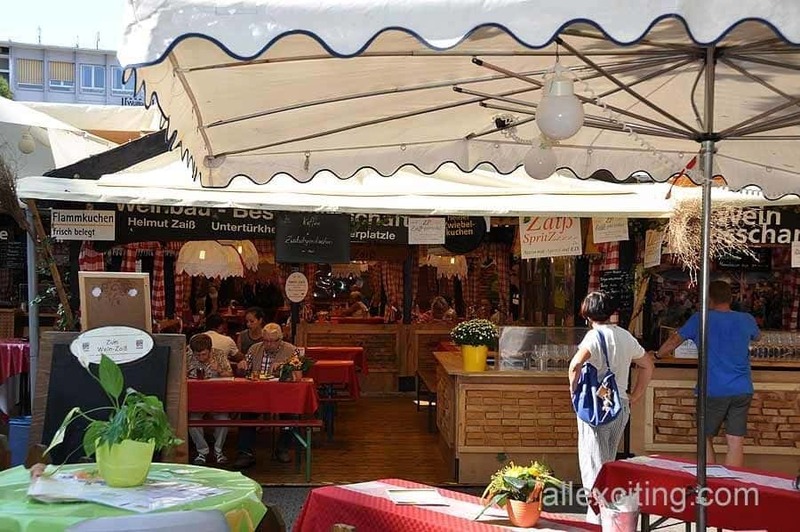 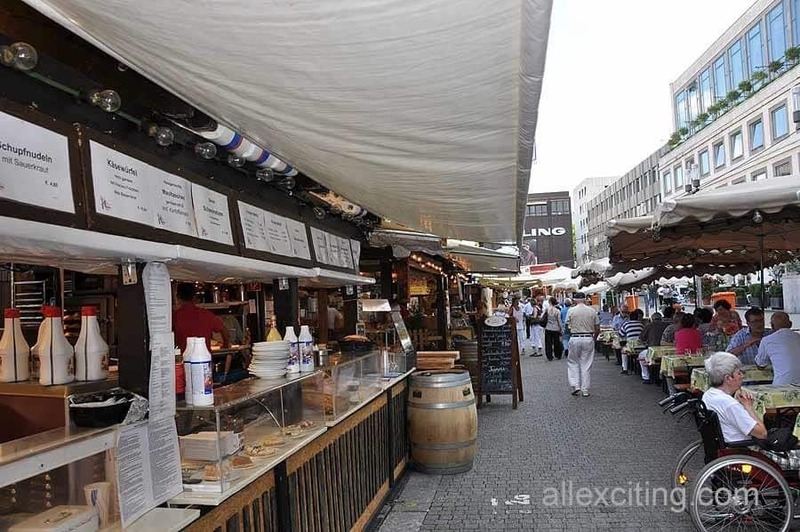 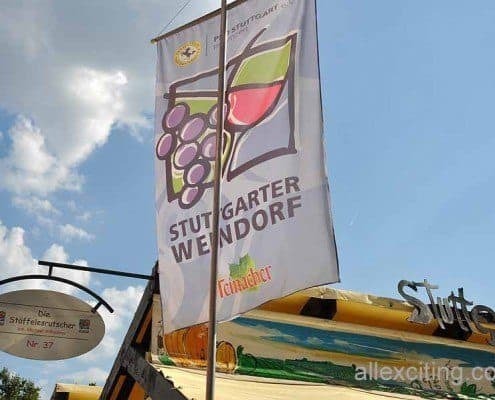 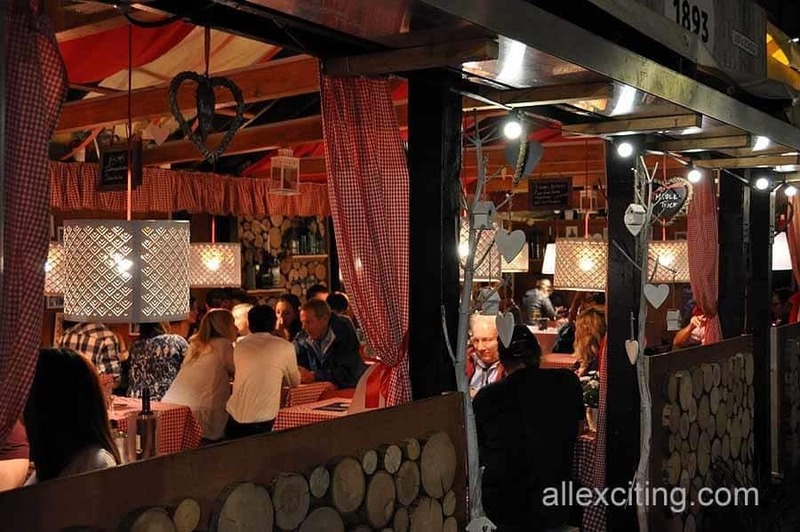 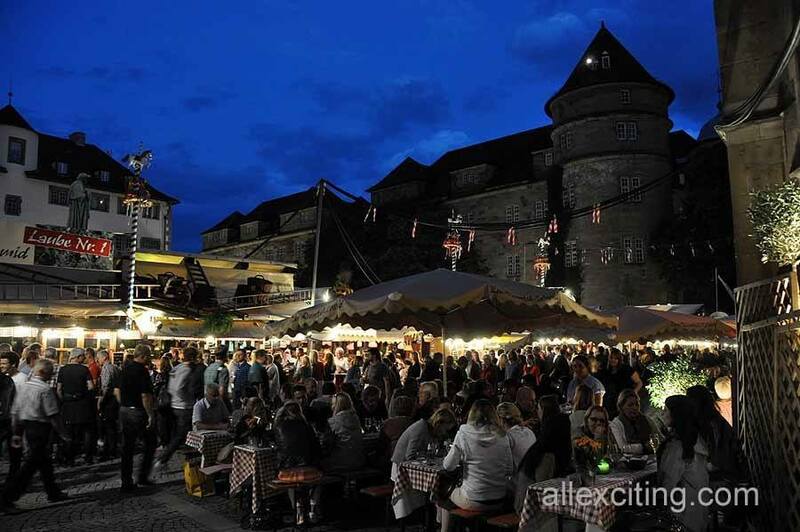 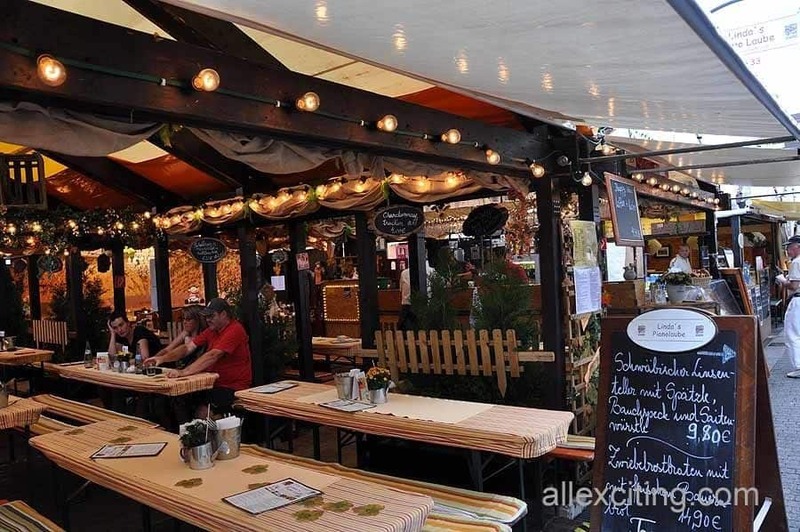 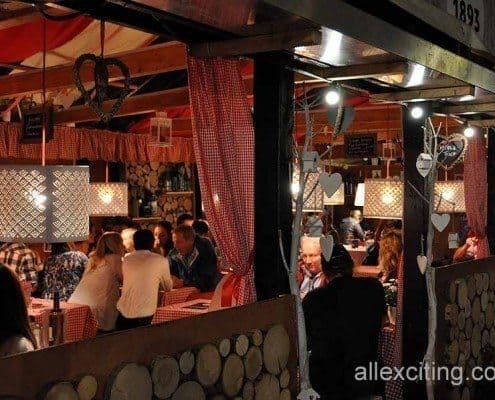 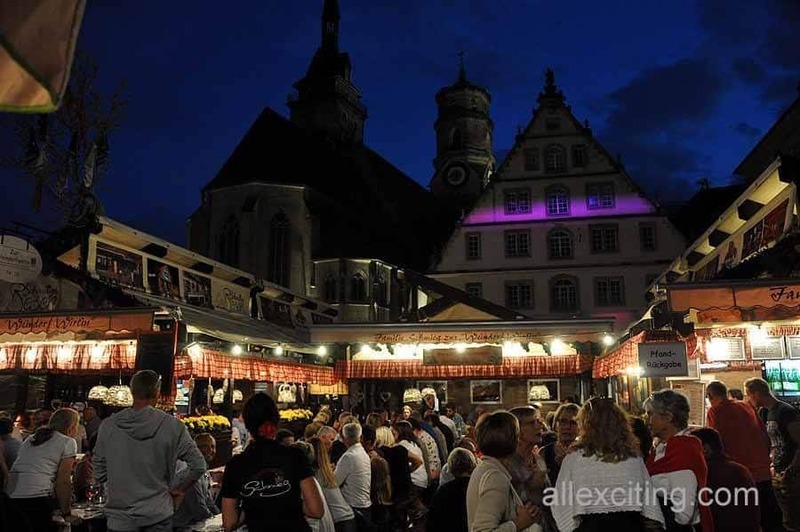 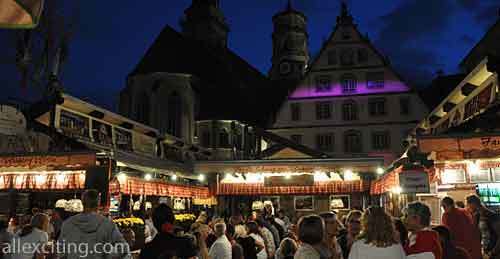 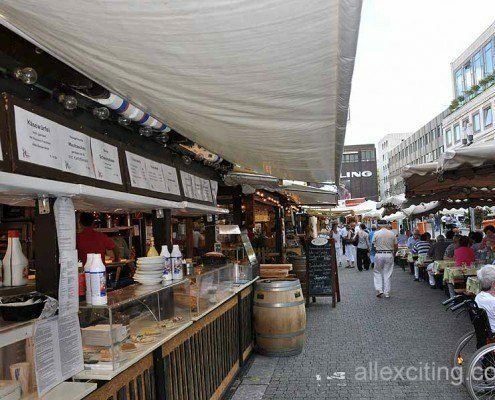 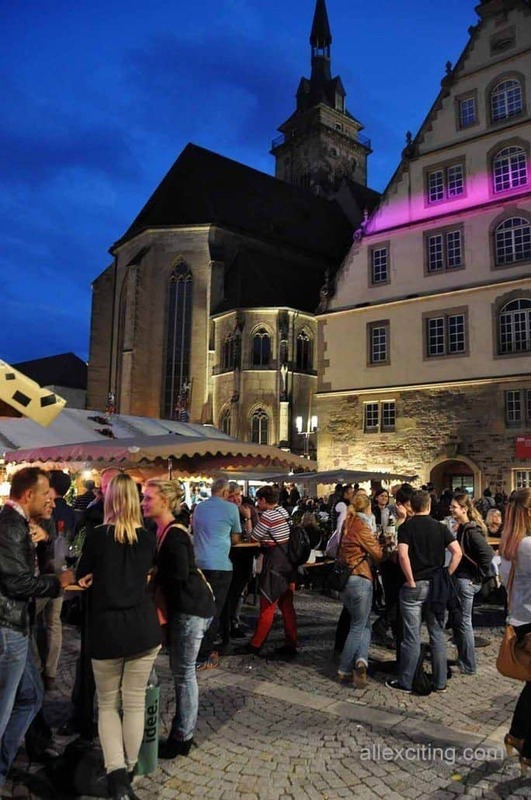 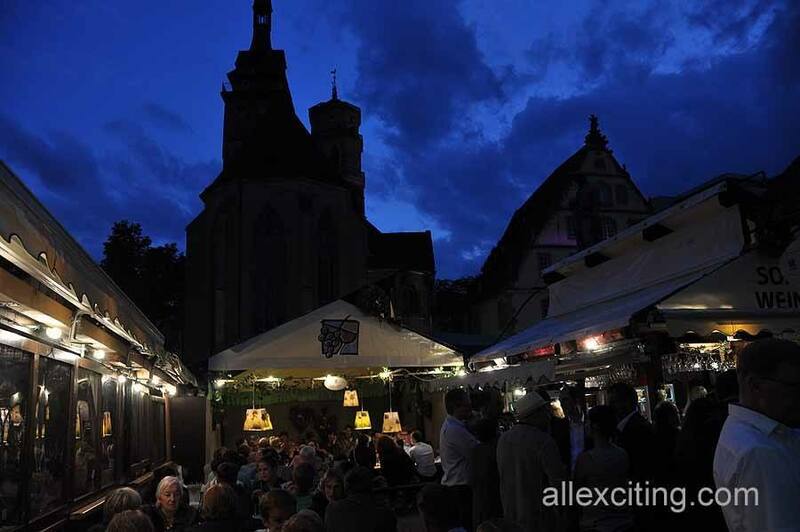 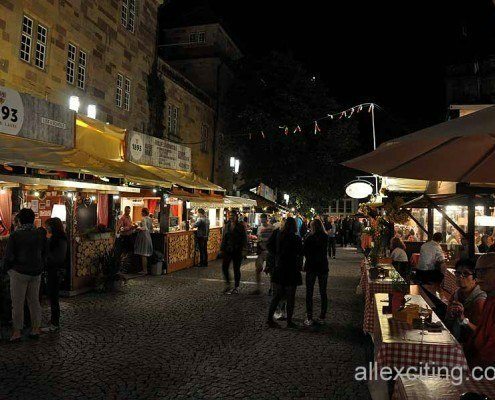 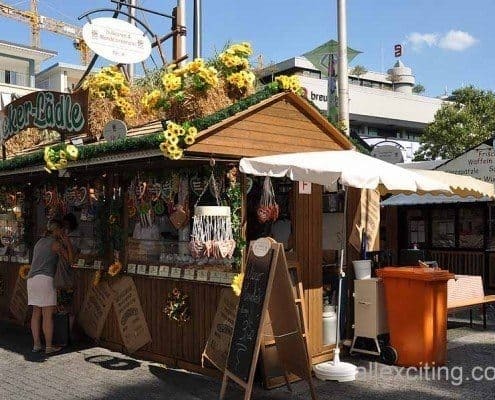 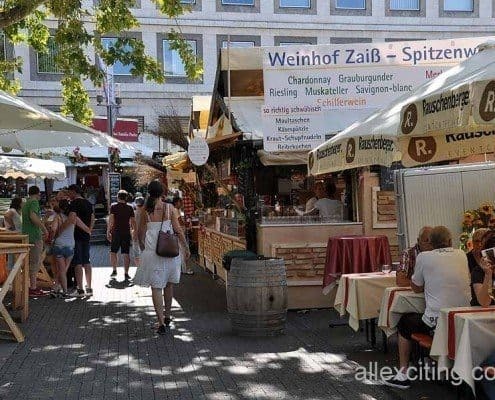 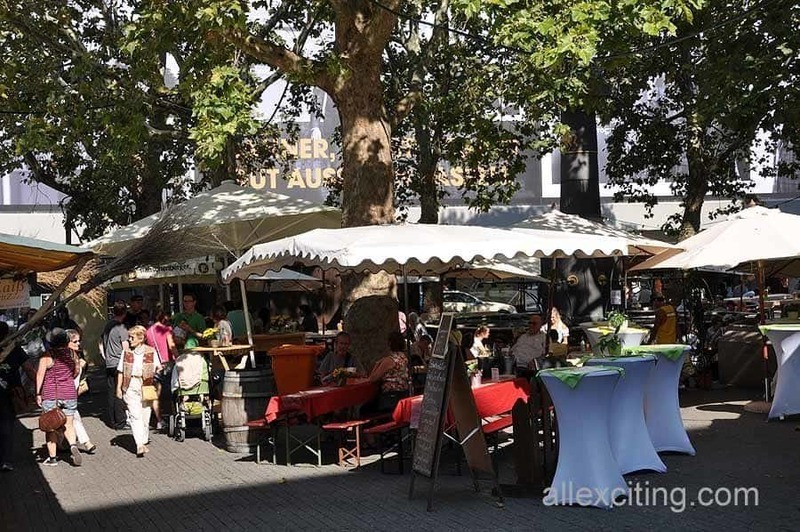 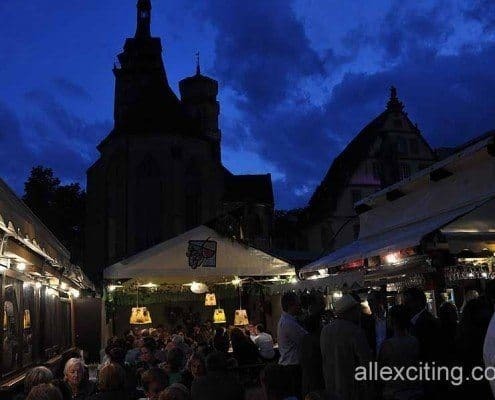 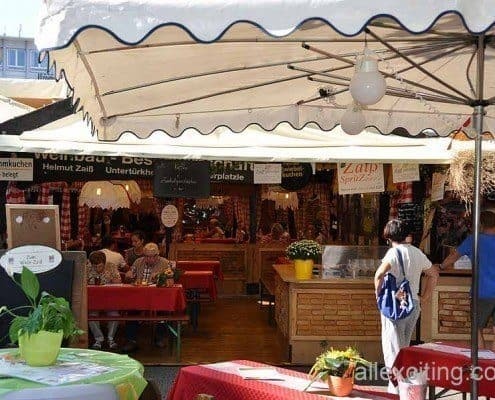 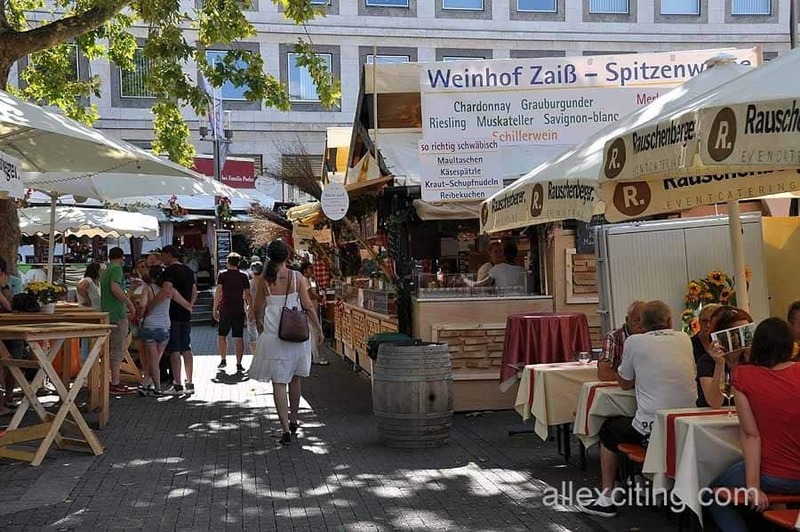 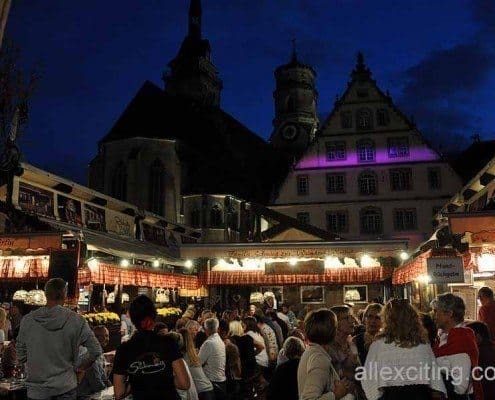 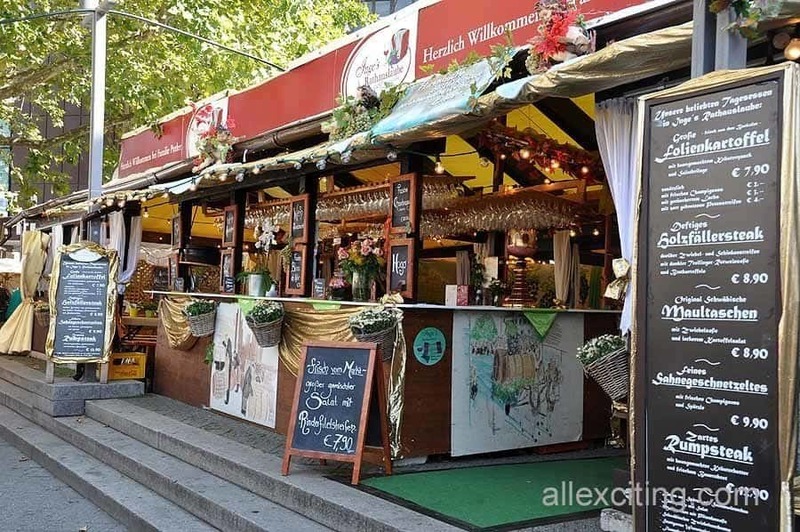 On Stuttgarter Weindorf you’ll find around 30 open air restaurants and specialties from the region, including 500 local wines from Baden. 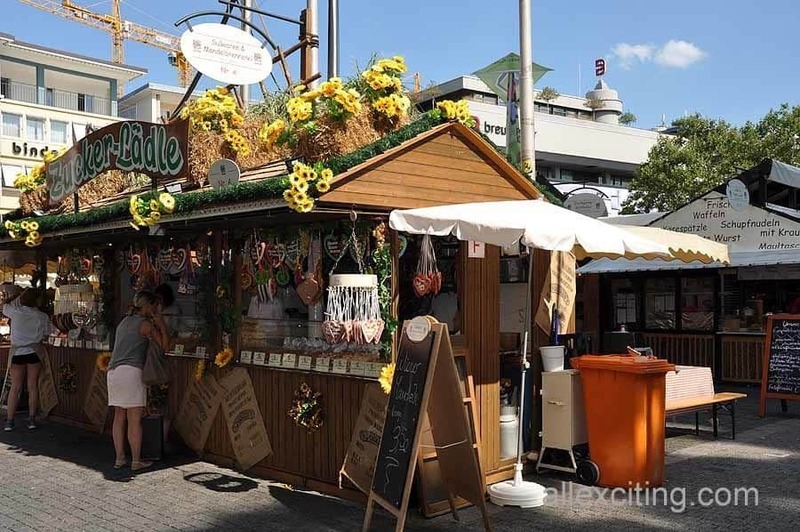 3 stands serve sweet delicacies and chocolates. 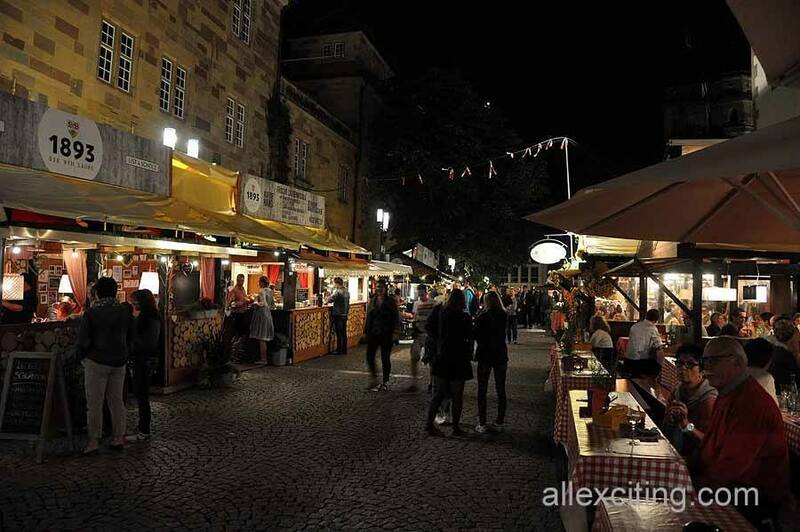 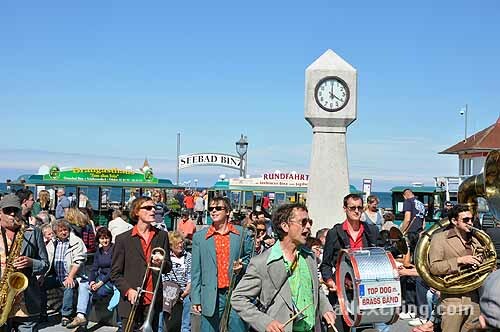 This festival has it all – tradition, quality and great atmosphere. 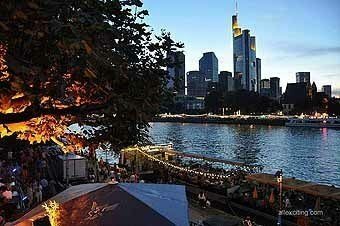 And that’s the best recommendation for visiting this beautiful German city in late August. 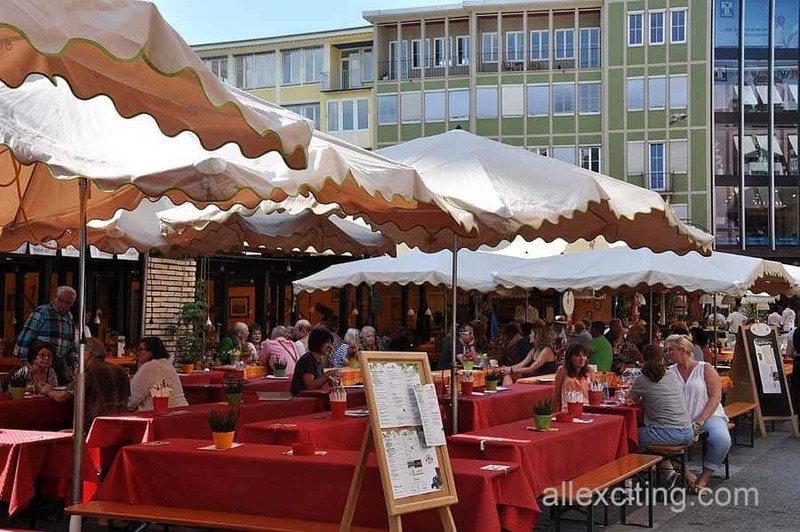 The location is in the city center of Stuttgart – Marktplatz, Schillerplatz, Kirchstraße. 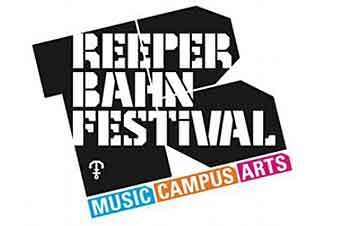 If you’re coming by car, don’t worry, there are many parking places within a walking distance from the venue of the festival. 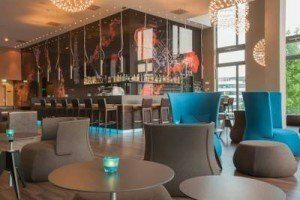 Motel One Stuttgart was our hotel during the festival. 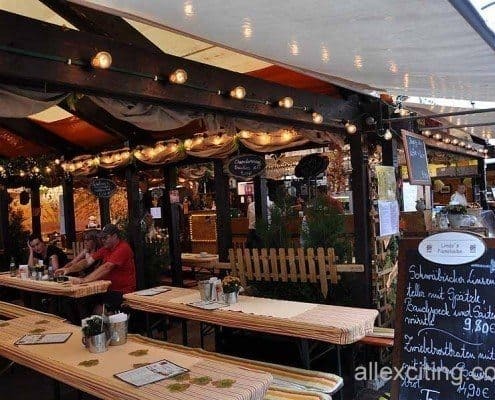 It was perfect with great service. 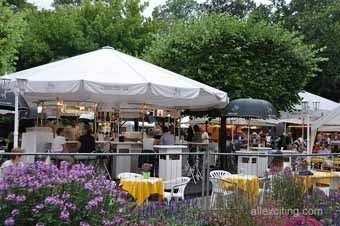 Good space in lobby and fast WIFI for working online. 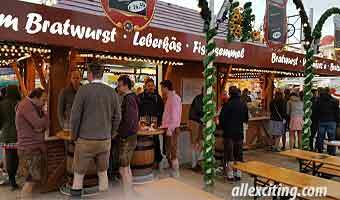 Breakfast and breakfast-room was also very good. 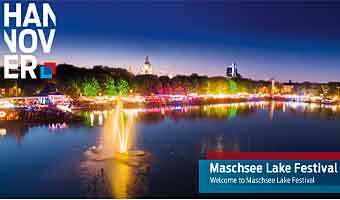 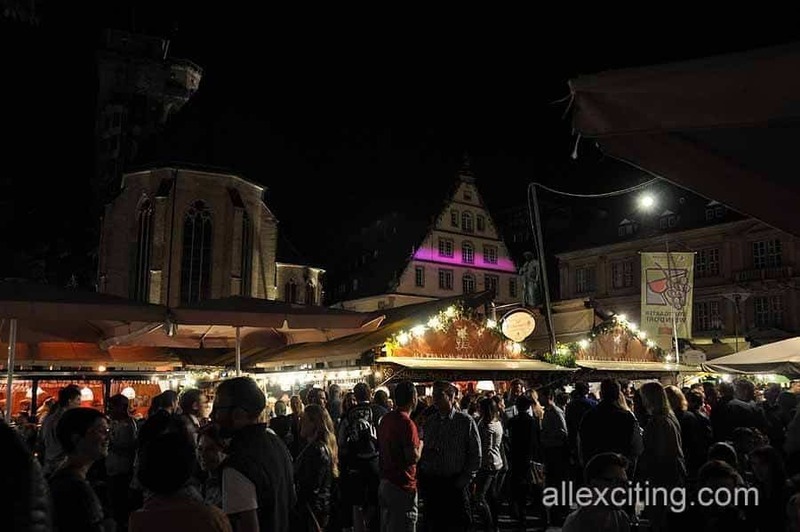 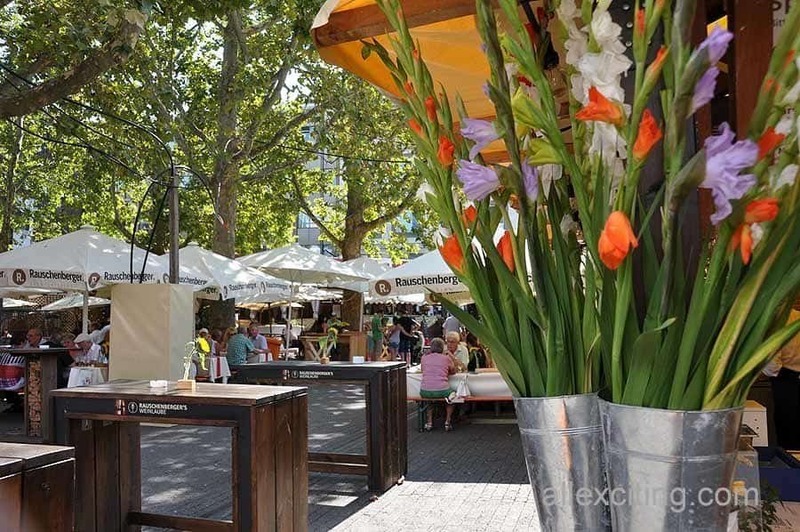 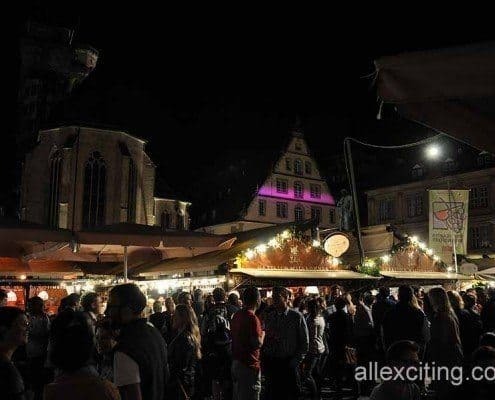 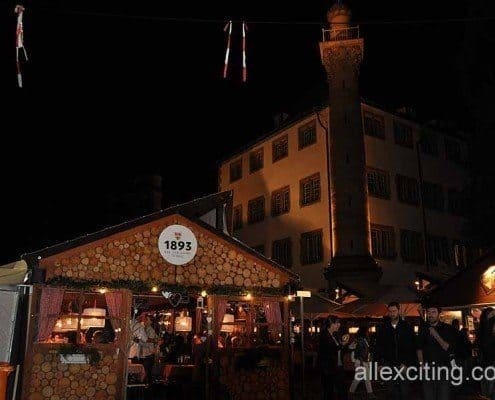 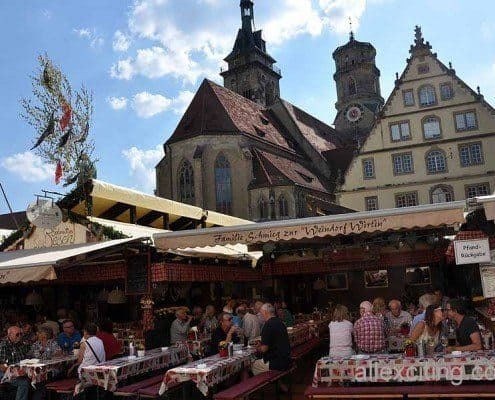 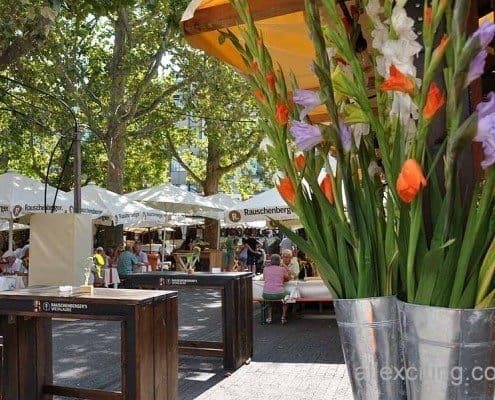 The position of this place is perfect for visiting attraction in central Stuttgart, such as the popular Königstraße shopping street and Stadtgarten park. 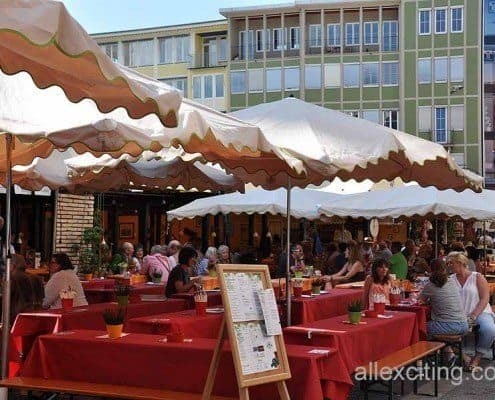 It’s only 5 minutes to walk to the train station.